The Render 3D Model dialog box allows you to set up how a 3D model should be positioned before rasterizing into a 2D layer, so it can be imported into a 2D scene. 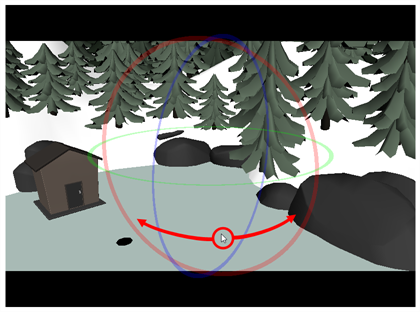 NOTE For information on how to use this dialog, see Adding a 3D Object as a Rendered Image in a 2D Scene and Repositioning a Rendered 3D Model in a 2D Scene. Make sure the current scene is a 2D scene. In the list of 3D models, select the model you wish to add to the current panel. Click on Render to 2D. The Render 3D Model dialog appears. 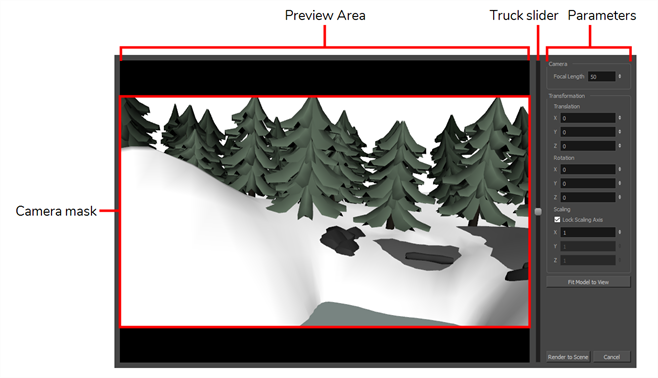 The preview area displays the 3D model as it will be rendered in the stage. Black bars display around the area to mark parts of the areas that are outside of the camera frame. The angle of the camera cone used to render the 3D model. 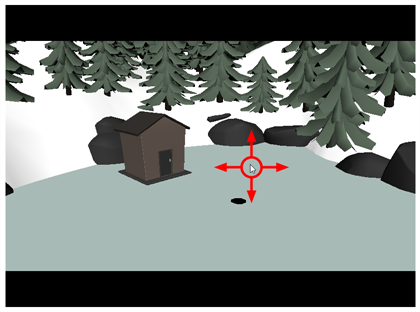 A wide angle will render the model with less perspective, and a narrow angler will render it with exaggerated perspective. Fit Model to View Click on this button to automatically adjust the model's Truck, Translation X and Translation Y parameters so that the model fits inside the camera field and is positioned in its centre. 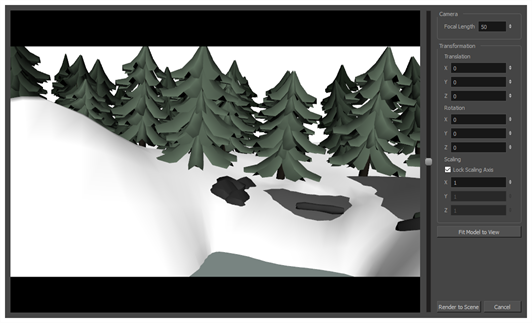 Render to Scene Rasterize the 3D model into a bitmap layer and add it to the current panel. Cancel Dismiss this dialog and do not import the 3D model.